Hello Lovelies! I hope your all having an amazing week, whatever you're up to! This week is my last week at Disney and I'm so sad to be leaving. I really can't believe that it's been a year since I was nervously shoving all my stuff into my Dad's car to move in to London and start my placement, and pretty soon I'll be frantically trying to make it all fit in the boot once again! Anyway, since trying the Maybelline Colour Tattoo's last Summer, I've wanted to try out one of the MAC Paint Pots. I decided it would be a good idea to try out the Maybelline one's first just to make sure that I liked the idea of using cream eyeshadow, before splurging on one of the MAC ones as they're about three times the price. I really love the Maybelline Colour Tattoo's and they're an amazing dupe for the MAC ones, however I find the colour range a little lacking which is why I looked to MAC for a couple of more wearable shades. I originally went in to MAC with the intention of getting the Bare Study Paint Pot, but when I was swatching a couple of shades, Chilled On Ice was the one which really stood out to me. I'm a sucker for anything that sparkles and I'm a huge fan of a sparkly/shimmery eye. I know this isn't everyone's cup of tea but I'm just not a fan of matte eye looks. Chilled On Ice is a beautiful light champagne colour, packed with tonnes of sparkle, which MAC describe as 'frosted white gold'. It's honestly such a beautiful colour and is so versatile. I love to wear this paint pot across my whole lid with a little black eyeliner for a day look, or you can glam it up a little and go for winged eyeliner or some golden neutral colours in the crease. 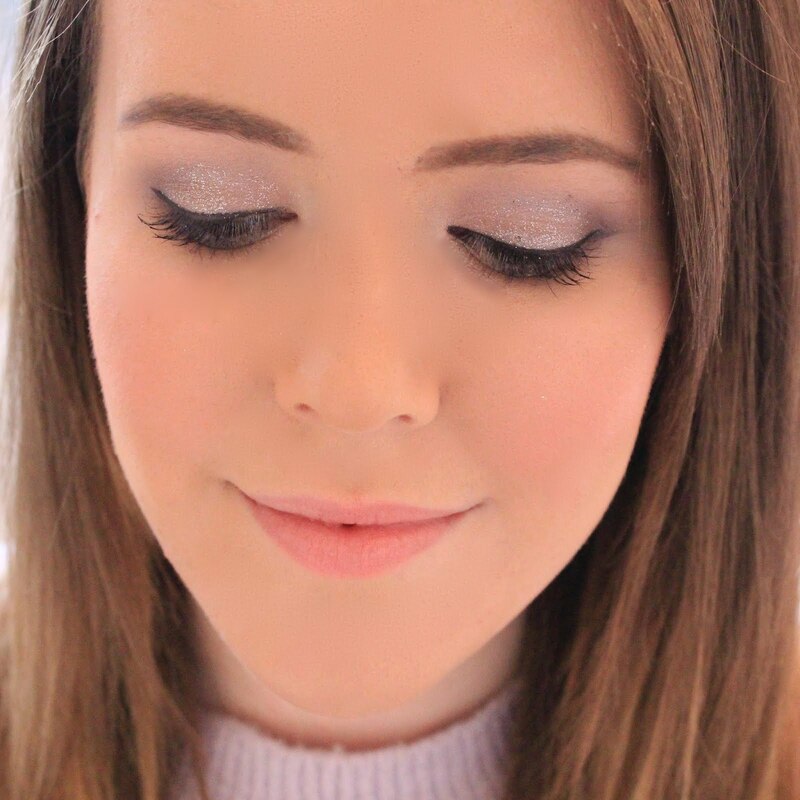 Chilled On Ice can also be used as an inner corner highlight, but you could also dab a bit on your cheek bones to make them pop a little, as it's such a lovely highlighter. The one thing I would say about this Paint Pot however, is that the formula is a little gritty. I'm not sure whether this is something that you get with all paint pots, or something that is specific to this shade as it's such a glittery shade, as this is the only one I've tried. I don't see this as being a major issue though, as it still blends excellently and stays put all day, so it's definitely something I can look past. Overall, I'm really impressed with the MAC Paint Pots, and I will definitely be purchasing more (Bare Study and Vintage Selection are next on my list), unless Maybelline up their game and bring out a few more shades, as they're an excellent dupe! I really love the colour tattoo shadows too! I also like the Benefit ceaseless cream shadows and have wandered about trying out a Mac paint pot. This looks like such a pretty shade and I am a lover for anything with sparkle so might have to pop over to a Mac counter! I love the paint pots! I really want maybelline to come out with more colour tattoos, more neutral paler shades! I agree on the maybelline part - they need to up their game! I haven't yet bought one of the paint pots - but this looks just up my street!